Elliot Mazer is a producer, executive, technologist, and project leader. Elliot produced multi-platinum albums for artists including Neil Young, Janis Joplin, and Linda Ronstadt. He was the recording engineer of the live Last Waltz Concert. Meanwhile he has also built, designed, owned and operated audio recording facilities in Nashville and in California. Elliot has also produced DVD-Audio and SA-CD projects with sound recordings by: Neil Young, Janis Joplin, Frank Sinatra, assisted with The Who’s Tommy DVD-A and SACD mixes, Pink, Switchfoot, and Santana. He has worked on Film and Television projects for NBC and various independent studios. 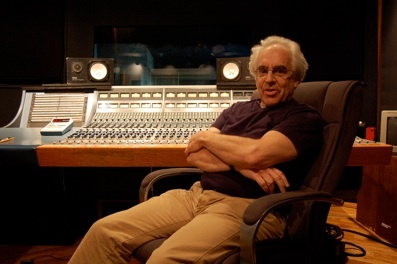 Elliot also has been a consultant for Apple Computer, where in the mid-eighties he helped define the acoustical standard for Macintosh ó so innovative at the time that it is still in use today. As a consultant for CBS Records, Mazer originated the Jazz Masterpiece series for Columbia Records. He was President of Artificial Intelligence Resources, Inc., where he developed the patented AirCheck monitoring system. Mazer has also designed, built and managed audio recording studios. Q: Can you name a few favorite recordings and why you like them? Elliot: A Variety of recordings of my productions, Mozart and various jazz recordings. Ein Heldenladen recorded on RCA by Richard Moor years ago is stunning Variouis Miles Davis recordings on Prestige are great. Early Ellington. Today i am workig on a new artist, Rob Clarke. We are in Nashville. Q: What do you think are the most important elements of a great recording? Elliot: The most important element is how the recording moves the listeners. Q: Do you think the listener should hear a real instruments in real space — can it ever sound “real”? — what the mic “heard” or what’s on the master tape… ? Elliot: The listener needs a good sounding system that lets them hear properly and pleasingly the recordings of choice. Q: Turning to Burson Audio, how long have you been using their components? 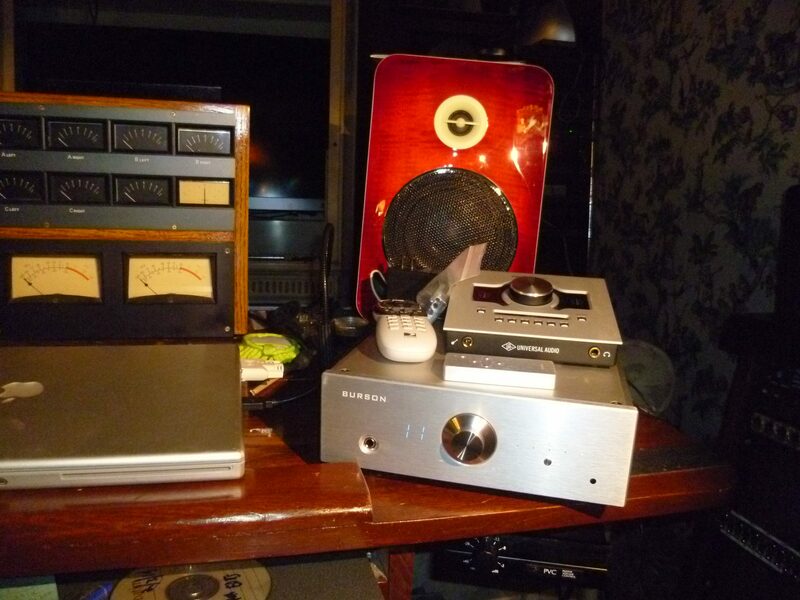 Elliot: I think I have been using Burson preamps for at least a year. They sound great and are meet my needs for reliably and convenience. I am doing some final editorial and mastering stuff on this Bob Dylan album and the Conductor Virtuoso sounds great on that. The Conductor 9018 compared to the Conductor 1793 has slightly different sound. There is something distinctive and good about it. Great transient response. Q: What qualities about Burson attract you to their sound? What would you say are its (the Conductor) best qualities for a professional like you? Elliot: They (The Conductor Virtuosos) sound great and are easy to use and look good too. Burson has a unique sound that is pleasant to listen to but does not color the sound. Clean and open and sounds very good at low levels too. Q: Do you use Burson in the recording process? 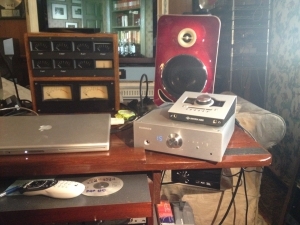 Elliot: The new Conductor DAC, preamp sounds great in my studio and I use 2 Burson units in my post production rooms. Q: At what point in the process do you turn to headphones? Elliot: I listen on Thiel studio monitors or KRK 4 monitors. I use earphones both in my listening room and studio. I have two types of headphones, one for pleasure listening— Onkyo and one for mix testing KRK. Earphones are very important to me as i often work early in the morning and i do location recording too. Focusrite made a small room simulating box that helped. The audio quality was just okay but not Burson quality. It (The Burson Conductor) helps me evaluate how a mix will sound in a variety of locations.